I am of that generation that were brought up with, by today’s standards, computers that feel that are not that much faster than doing the calculations by hand. We started with either a Sinclair or a Commodore. We argued about who had the best system for playing games. Our parents convinced us it was to help with our school work. Sometimes that worked but most of the times we were glued to Manic Miner, Frogger or for the kids who had rich parents, Elite on the holy grail of home computers, the BBC Micro. You may wonder where this post is going. That’s OK I do that all the time. This one is about my childhood, going away to university and what I do for a living. Now back to what I was talking about. Old computers and things. When the 8bit computers fell out of favour and we entered the era of 16 but. Then there was another war in the school yard. Were you an Atari, ST, or Commodore, Amiga, kid. I was the former. A much superior machine. Or it is from my point of view. This is how Atari sold the machine. An advert from sometime in the “late 80s”. Not 100% sure when but I would say around 1987. 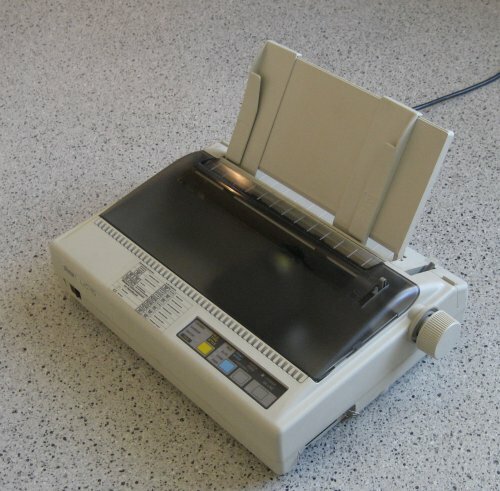 That machine got me through the last couple of years of school. All the way to finishing A-levels. Typing up notes and printing it out on a LC-10 Color! Yep a printer that printed more than black and white. It could do high quality printing but that took ages to do. Whilst writing this piece I have managed to find out that somebody has scanned in the manual for the printer and put it up on the web for all to see. This is all leading up to talking about old computers. The ones that I used and vaguely remember. Or in some cases have no memory at all. 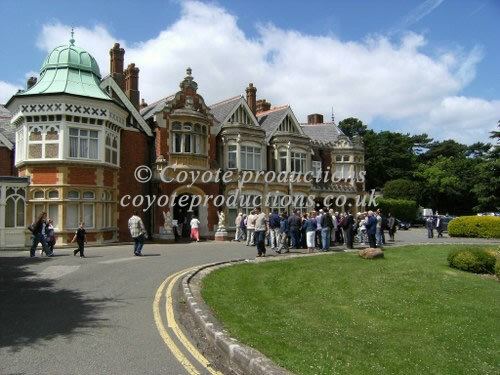 Way back in 2010 there was an event run at Bletchley part, the home of Station X and the National Museum of Computing. The Event was opened by Chris Searle – one of the presenters of the iconic 80s TV show, The Computer Program. 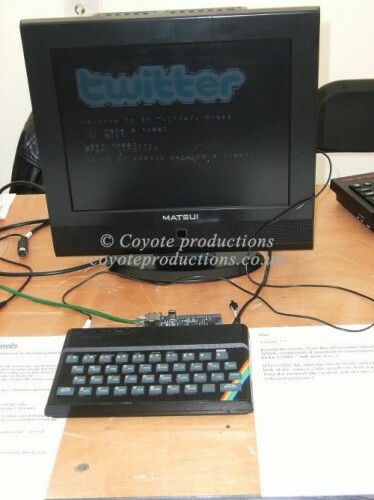 One of the stars of the event was a Sinclair Spectrum that you could tweet from! I should have taken more images of the great pieces of history. All still running and showing what was state of the art in the 70s and 80s for computers. Most people have forgotten about this with their Playstations and xBoxes. Finally, in a couple of weeks time, the weekend of the 5th to the 7th of July, at the Snibston Discovery Museum will hold the 2nd UK Vintage Computer Festival – or for the more inclined VCF-UK 2.0. A great weekend of fun for geeks of all ages. From a rare showing of the 80s classic, War Games to workshops about the Raspberry Pi.